Vietnam is a neighboring country to Malaysia, the South East Asian country I call home. Despite its close proximity to Malaysia, little do I know about Vietnam besides its communism practices and its involvement in the Vietnam War. My ignorance was not a hindrance, far from that! Exploring the unknown land has always been a propeller for my choice of destination, whether it was geographic unfamiliarity or cultural differences, this trip would be my opportunity to learn more. Arriving in Hanoi, first thing I noticed was that they were driving on the wrong side of the road! This has made a simple task such as crossing the road very confusing. (Not that crossing the road in Vietnam would be any easier even if they drove on the left side of the road.) Vietnam used to be a French colony for almost 70 years, with the formation of the French Indochina consisting of Vietnam, Cambodia, China and Laos, hence they adopted the French traffic side. Hanoi traffic is a classic South East Asian city traffic, lots of vehicles with very little order. It looks a little something like this. Try and weasel your way out of that! Years of crossing the streets in Malaysia and other parts of Asia still did not prepare me for crossing the streets in Hanoi. No street law seem to be imposed, traffic lights and pedestrian crossing served more of a decorative purpose than functional. Well, what do you do then? Rule of thumb, do not hesitate and just walk. Even if you think that you won’t survive to the other side. Do not attempt to avoid the motorbikes, it would deem a futile attempt and would most probably result in getting run over. 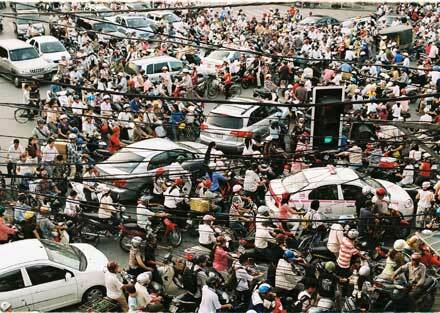 Traffic was only part of Hanoi’s charm. 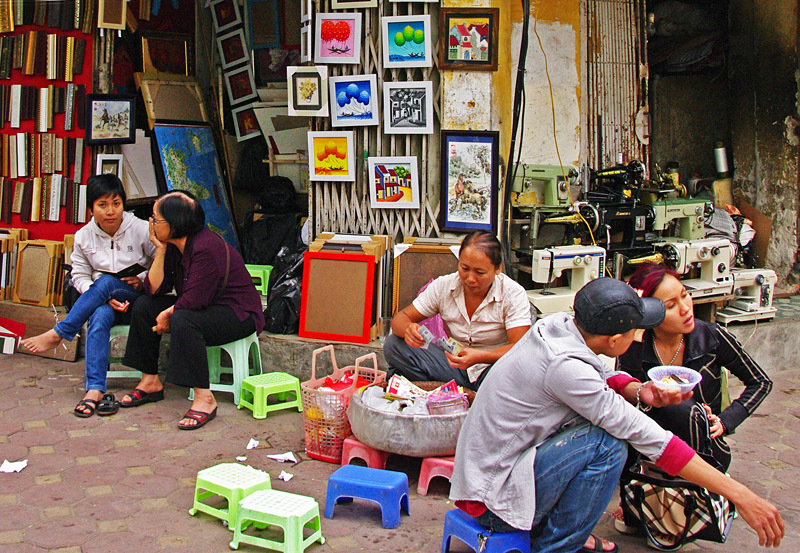 What took me most by (a pleasant) surprise was the tiny chairs and tables that adorned the sidewalks of Hanoi. It initially felt like I have just entered dwarfland! I am accustomed to the miniature furniture being used for kindergarten children back home, but in the Old Quarters of Hanoi, person of every stature can be seen munching away the delicious Vietnamese street food in these Hobbit-like furniture. Vietnamese food is definitely worth a mention. In fact, it is worth its own entire blog post! Realising that I am not a food connoisseur, nor do I attempt in being one in the near future, I will stick to a mere mention of my own favourite delicacy. With great help from my lovely Vietnamese friends whom provided me with a whole list of must-tries, ticking food off the list gave me a sense of accomplishment every time. 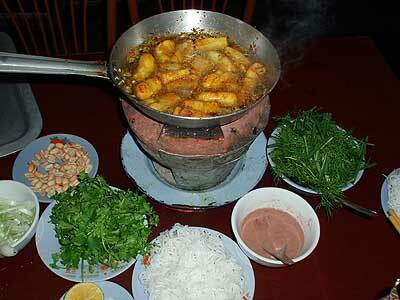 Above all, my favourite Vietnamese dish has to be Cha Ca La Vong. Cha Ca La Vong is essentially DIY grilled fish with noodles. Each table was provided with its own single mini gas stove, frying pan and all the raw ingredients. All we had to do was mix them all up and grill our own dinner. Reminded me of Korean BBQ restaurants I frequent, but with slightly more spices. Simple yet absolutely delicious. It is most famous in Cha Ca St in Hanoi, where the restaurant we frequented prides itself to be the oldest restaurant in Vietnam. Tripadvisor gave it a mere 3 star rating, which I reckon does not do it justice. I really enjoyed the delicacy, but I can see why a Westerner wouldn’t as much, as it is far more suited to the Asian taste. A trip to Vietnam would not be complete without trying out the famous Vietnamese coffee. As it was winter when I went, I always ordered hot coffee with condensed milk or Cà phê sữa nóng. 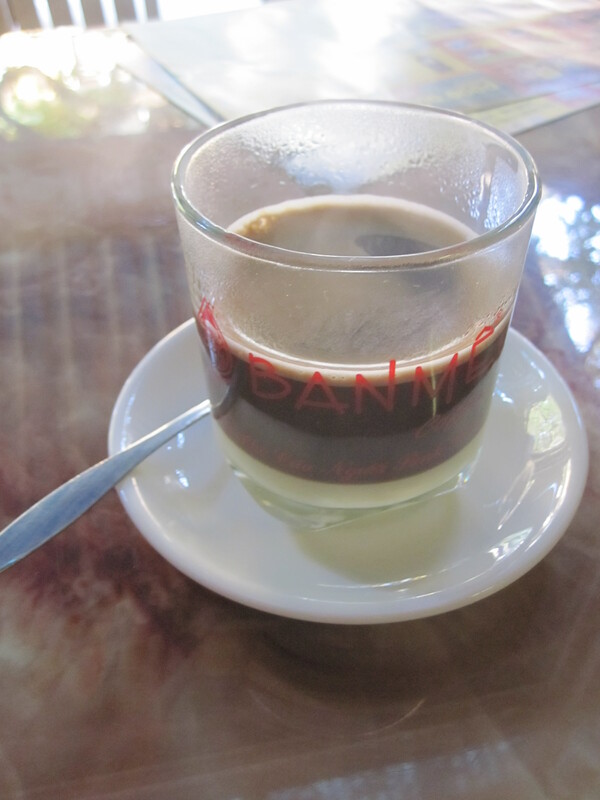 Coffee addicts would relish on the strong bitter taste of Robusta beans brought to Vietnam by the French. I am more of a fan for Arabica beans, which rendered me too weak for Vietnamese coffee. Nevertheless, the coffee shops scattered around the streets of Hanoi is a must try for coffee addicts or simply cultural enthusiasts like myself. 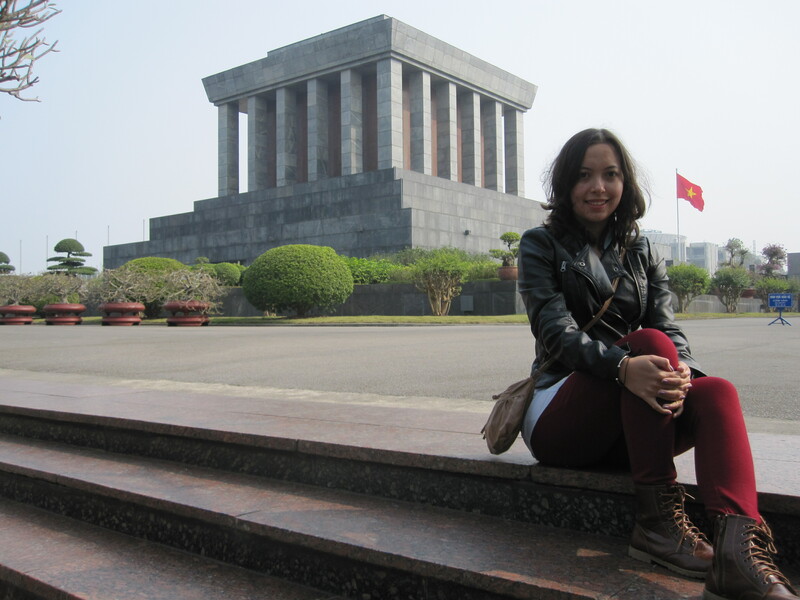 To immerse myself in a much needed history lesson of Vietnam, I visited the Ho Chi Minh Museum and Mausoleum. I was so engrossed on the beginnings of Uncle Ho (the term of endearment Vietnamese have for President Ho Chi Minh) I spent half a day in the Ho Chi Minh museum. As I was reading up on the introduction of communism in Vietnam, the most frequent name that came up was Nguyễn Ái Quốc. He wrote in the Vietnamese, French, English and Russian papers about the cruelty of French imperialism in Vietnam. I was impressed by his impeccable command in multiple foreign languages, something rare back in the 1920s. After at least an hour I realised that they were all pseudonyms of the great Ho Chi Minh himself! I was so fascinated by Uncle Ho that I proceeded to buy a biography of him. With that, I shall end on a note of remembrance for the great leader Ho Chi Minh, whom made the Socialist Republic of Vietnam what it is today. More to come on Venturing Vietnam #2 : Sapa and Ha Long Bay. great piece of writing. make sure you set your photos resolution to large or else it would be too small! keep up the good work!